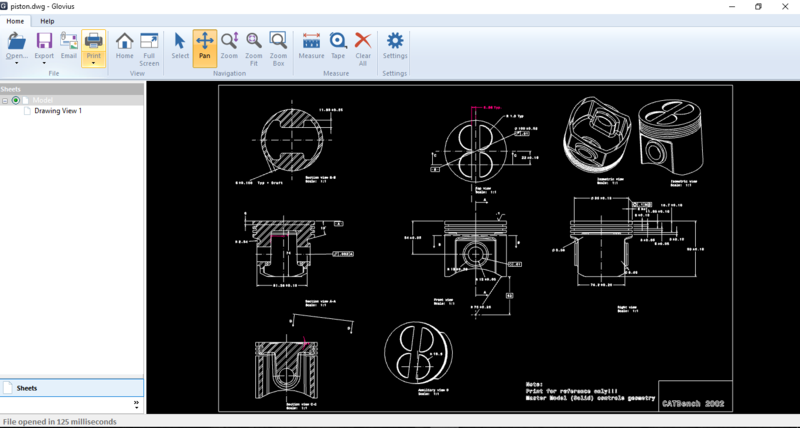 View native CAD files without a CAD license. 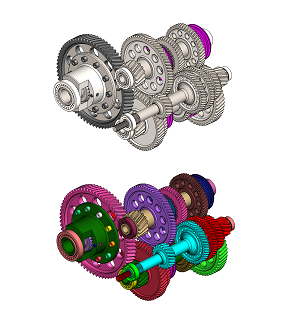 View popular 3D CAD files in one application. Simple and easy to use. No training required. Available in Annual, Permanent and Team licenses. Free 2D Viewer. Free iOS and Android apps. 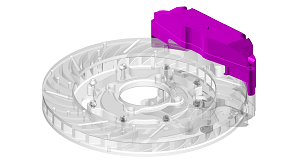 Export CAD part and assembly files to STEP, IGES, 3D PDF, HTML, 3MF, STL, and more. Glovius is available in English, Deutsche, Français, 日本語, Español, Português, 中文 and 한국어 languages. Buy Glovius CAD Viewer starting at $480/year. View 3D data, Product Structure, Attributes, PMI, GD&T, Annotations and Captures. Zoom, Pan, Rotate & Spin models. Previous & Next View. Standard Views. Perspective/Orthographic projection. Shaded, Wireframe and Mixed render modes. Hide/Show, Isolate, Move & Search components. Change component color and transparency. Take accurate linear, angular and radial measurements. Use Tape Measure for edges and curves. Calculate Surface area. Check ordinate dimensions and quickly measure models and features with Assistive Measurement. Cut dynamic sections along Standard or Custom Planes. Create multiple sections, add hatches to enhance visibility and measure section profiles. 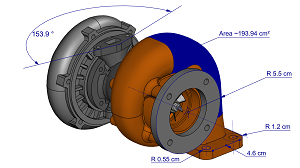 Export your CAD files to STEP, IGES, 3DPDF, HTML, STL, Image & Microsoft Powerpoint formats. Generate Bill of Materials (BoM) PDF & CSV report and 3D Model report with one click. Use the Analyze tool to get the model snapshot and get to the know the key attributes, dimension extents, Instances and Mass. Change component colors to easy visual identification of product structure. 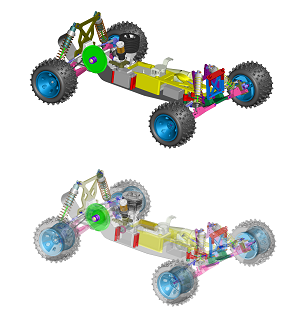 Apply transparency to individual components and progressive transparency for sub-assemblies. 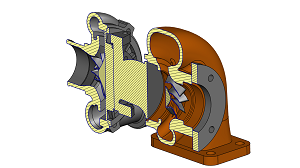 Explode assemblies to identify the internal components and method of construction. 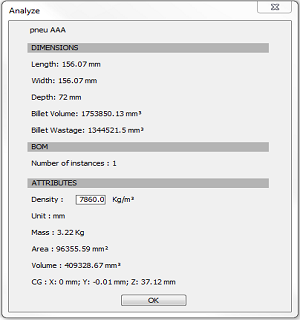 Thickness Analysis: Compute the material distribution in a part to identify areas of material optimization. 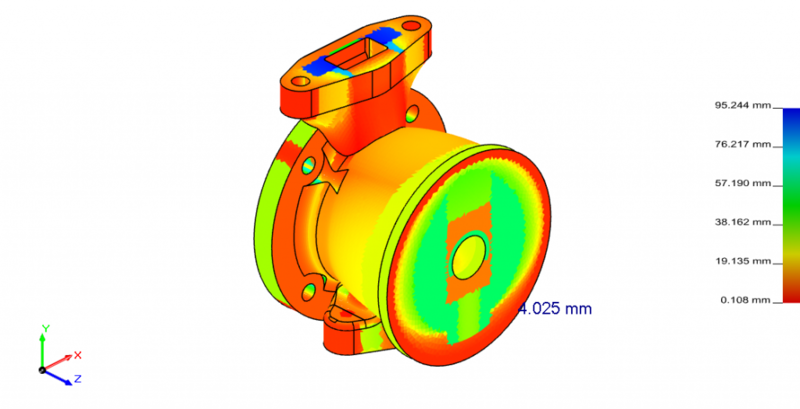 Projected Area: Calculate the Projected Area for use in Casting process calculations. Draft Analysis: Compute the draft angles of all surfaces in a part for use in Injection Molding and Casting processes. Add comments in your model and Collaborate with your team. Maintain context of your comments using the 3D Markup tools. Compare various versions of design to inspect changes. 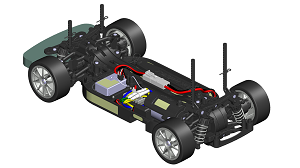 Visually identify the added, removed and modified features of parts and assemblies. 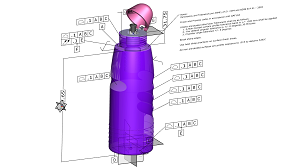 Open CATIA CATDrawings, DWG and DXF files with Glovius 2D Viewer. Take measurements and export to PDF. Export to Glovius Mobile. Transfer using Email, Dropbox or File transfer. View with free Glovius iOS & Android apps. 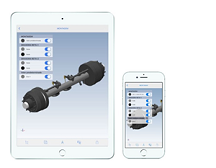 View 3D, PMI, Product Structure and Attributes. Cut dynamic sections and take basic measurements. – Pray, Advanced Systems & Controls Inc.
– Geib, West Bend Plastics Inc.
– Pat Rowell, Cutting Dynamics, Inc. Single User Subscription license for $40/month, billed annually. Write to us at support@glovius.com with your questions or ask for a product demo over webex. Take a tour, read the release notes and FAQs to know more.